Tech geeks and coders will be especially excited about the latest recipient of our Giving Program donation – a nonprofit named TeamsCode. TeamsCode started in 2016 when two passionate Mercer Island high schoolers organized a coding competition at their school. 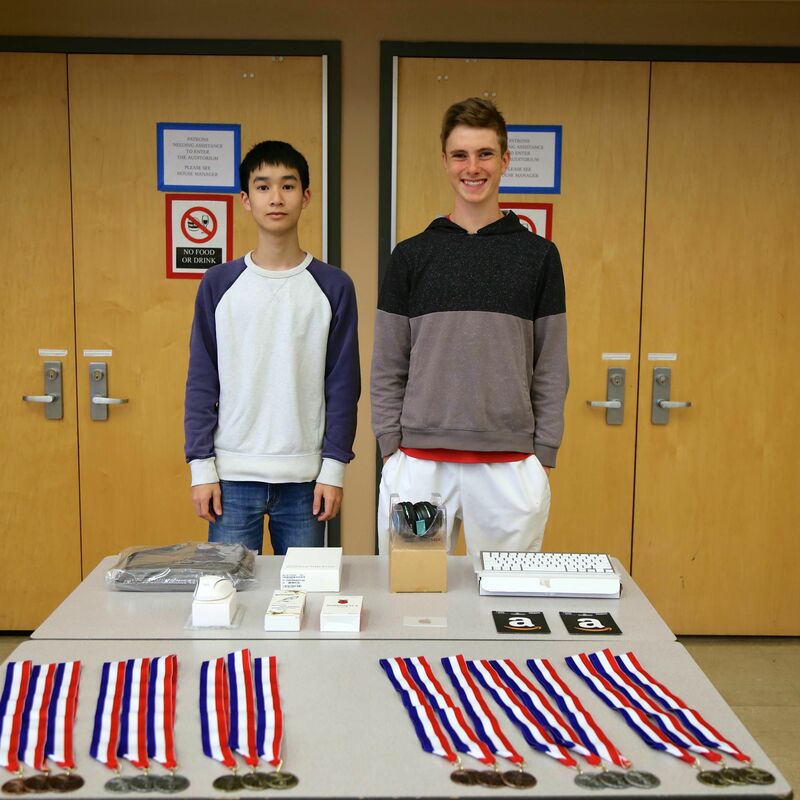 The students, Alan Bi and Chris Elliott, were both participants in other programming contests. They took initiative when they realized their school’s lack of representation in the computer science world. To remedy this, they created a coding competition that evolved into TeamsCode, the student-run nonprofit designed to encourage students to pursue computer science. They work to create programming contests and events that get students excited about the world of computer science. For many pupils, computer programming is too intimidating of a college major. Just hearing those words can send a shiver of fear down the spines of the less-than-tech-savvy. But learning the language is empowering and opens doors to various careers in tech. TeamsCode aims to provide encouragement, support, and resources to students around the Pacific Northwest. They work to keep the world of computer science engaging and exciting through programming contests. They have caught the attention of other computer science-related groups, including a sponsorship from Microsoft TEALS and TopCoder. TeamsCode shines not just because of their crew of passionate high schoolers working to find the potential in others, but their selection of accessible resources. They offer an AP Computer Science course meant to prepare students for the yearly AP examination. Unlike many preparatory courses, these in-depth lessons are free for anyone to use. They also offer a collection of programming challenges that were used in previous TeamsCode contests for anyone to practice with. They anticipate that their online learning options will expand by the end of 2018. Try out your skills here. The folks running TeamsCode have inspired confidence and literacy in the field of computer science to students in Washington, Oregon, and California. They hope to continue expanding as others find excitement and opportunity in computer programming. We are pleased to welcome TeamsCode as our newest Giving Program recipient, which will aid in their upcoming fall event. Check out all of the upcoming TeamsCode events. Tags: BPTgivesback, coding, computer science, programming, teamscode.